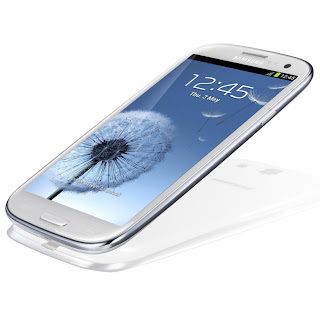 Sprint announced today that its prepaid brands Boost Mobile and Virgin Mobile would begin offering the Samsung Galaxy S III next month. The price and launch date were not disclosed. Connectivity: micro USB with USB On-The-Go, 3.5 mm stereo headphone jack, Near Field Communication (NFC) with support for Google Wallet. The biggest question about Boost and Virgin Mobile's S III is how much it will cost. It certainly won't be cheap. Here's what other prepaid operators currently charge for the S III: Straight Talk $439.99 MetroPCS $449, Ting $490, T-Mobile $569.99. Sprint tends to price their prepaid smartphones a bit lower than the competition. I guestimate that the Virgin Mobile and Boost Mobile Samsung Galaxy S III models will both launch with a price of $399.99. Freaking awesome. I heard the Kyocera Hydro Edge is coming to Boost. This is great. I'm upgrading as soon as the S3 becomes available. I love Boost, I'm only paying $40 a month for unlimited everything including really fast 4G LTE, you can't beat that. I am gonna hold out with my sg 2 and switch when Zact mobile updates their phones. They run prepaid on Sprints nationwide 4G LTE network. AMAZING.. PICK YOUR TALK TEXT DATA USE. Check it. Why in hell they let Zact Mobile have androids is beyond me. I can help you. 1. No one in Hell had to approve the phones Zack offers; 2. Zack developed their phone management software for Android so that we will (eventually) be able to buy a wider variety of phones; and 3. Sprint said the iPhone was not available yet. Zact is basically a service for people who can't afford decent service or basically budget friendly. But they really need to upgrade their phones. how is sprint lte coverage in new york city? I think it is not fully functional yet. Spotty at best and is in trial mode. I still have my $35 a month samsung galaxy prevail. It barely works non lte of course. whats the possibility that the newly announced galaxy s4 mini lands on prepaid carriers? I'd say the possibility is fairly high.